While the mainstream media is chasing their tail about supposed Trump-Russia collusion, the scandal involving Uranium One unfolds to expose a Clinton-Russia connection as well as a stunning coverup by the Obama administration. Rather than reporting real news, they continue to churn out phony news about phony news that Russia swayed the 2016 election with Facebook ads and a hodgepodge of other thus-far debunked Trump-Russia collusion conspiracy theories. 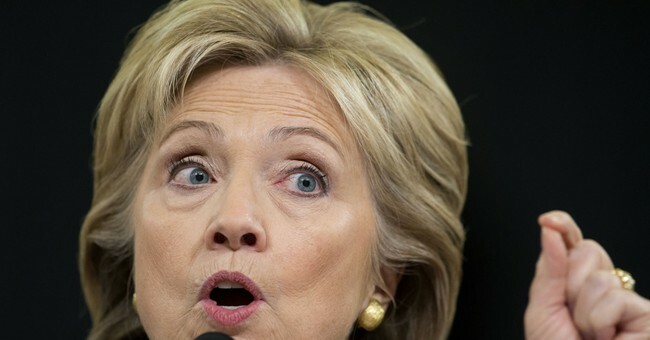 Even if $100,000 was spent on actual electioneering, compare that to the Clintons’ multi-million-dollar influence-peddling scheme going on while Russia was conspiring to grab 20-percent of U.S. uranium reserves with the acquisition of Uranium One. As I wrote in a March column, Uranium One is a Russian-owned uranium mining company that lobbied the Obama State Department through a firm co-founded by Hillary Clinton’s 2016 presidential campaign chairman, John Podesta. Uranium One fell under the corporate control of Russia’s atomic energy agency Rosatom through a series of transactions approved by Hillary Clinton’s State Department, effectively giving Russia control of 20 percent of U.S. uranium -- while a flow of cash found its way to the Clinton Foundation. All told, Newsweek reports $145 million went to the Clinton Foundation or its initiatives from those linked to Uranium One. Former President Bill Clinton also received $500,000 for a Moscow speech from a Russian investment bank promoting Uranium One stock with ties to the Kremlin. Enter: Rod Rosenstein, Andrew McCabe, Robert Mueller and James Comey --the same folks investigating the so-called Trump-Russia collusion investigation were also involved in Uranium One. DOJ documents disclose the investigation was ultimately supervised by Rosenstein and McCabe. Robert Mueller was FBI director when the probe began and James Comey was director until Trump fired him. We now know the FBI was aware of multi-faceted Russian wrongdoing long before the Uranium One nuclear deal was approved. Investigators also knew “Russians were compromising American contractors in the nuclear industry with kickbacks and extortion threats, all of which raised legitimate national security concerns,” The Hill reports. All that, while we were told there was nothing to see here. Too much was at stake. Hillary was supposed to win in 2016. Covering up this scandal was just as important to Obama’s legacy as lying about Benghazi was to winning his re-election. In the end, The DOJ managed to whisper out a vague press release before Labor Day 2015, mentioning a plea agreement and a four-year sentence for a handful of wrongdoings. Basically, a hand slap, despite mountains of evidence collected. Furthermore, the final investigation didn’t mention Obama’s DOJ “slow-walked” the probe, despite serious national security concerns. Of course, the Clintons got a pass with no mention of influence peddling or how the Clinton Foundation benefited. The mainstream media’s silence on this scandal is damning and yet another reason why most Americans don’t believe much of what they say.